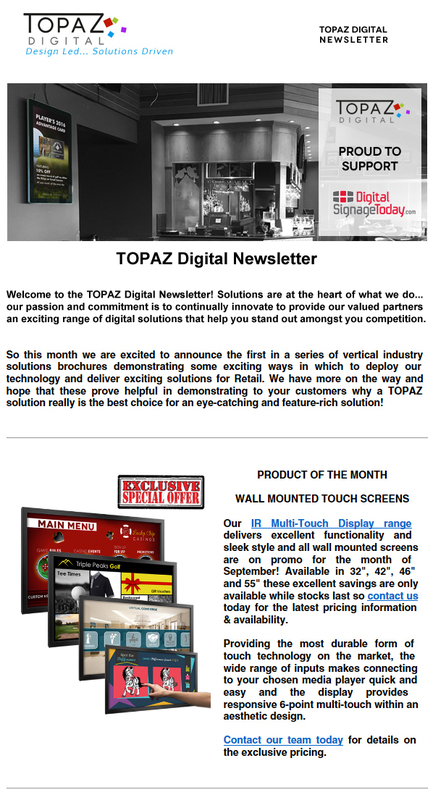 By becoming a subscriber to the TOPAZ Newsletter, you ensure that you are up to date with all of our latest news and special offers such as Product of the Month, Software Updates, first looks at new product brochures and much more! Simply fill in your details below and you will automatically be added to our mailing list. TOPAZ Digital will keep you informed of products, services & promotions from time to time, we will never share your data with any other organization. I agree the information supplied on the above form is accurate to the best of my knowledge.